Winner ' 2017 Australian Publishers Association EPAA Teaching and Learning Resource, TAFE & Vocational Education The judges said: 'A wide range of pedagogical elements encourage students to reflect on their learning and consider the connection between real-world theory and context. Perfectly designed to engage the early childhood market, with strong links to industry standards to support the transition to practice. Alive, bright and fun ' all you would expect of a resource in this market.' 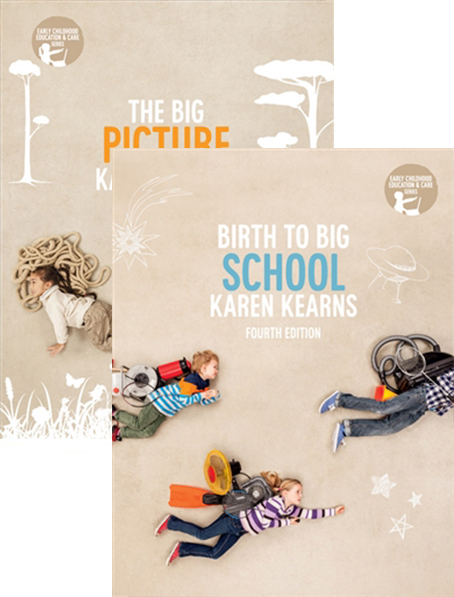 The Big Picture, 4e is written to support training delivery in CHC30113 Certificate III in Early Childhood Education and Care. It provides students with a practical introduction to working in a children's service environment, whilst helping to bridge the gap between theory and best practice. It is designed to address the relevant units of competency in a holistic and integrated way while covering the skills and knowledge students need to be deemed competent in this qualification. The text also examines the personal and professional skills needed to be an effective early childhood educator. Students are introduced to the Early Childhood Australia Code of Ethics and the challenges faced by educators when working with families and children. 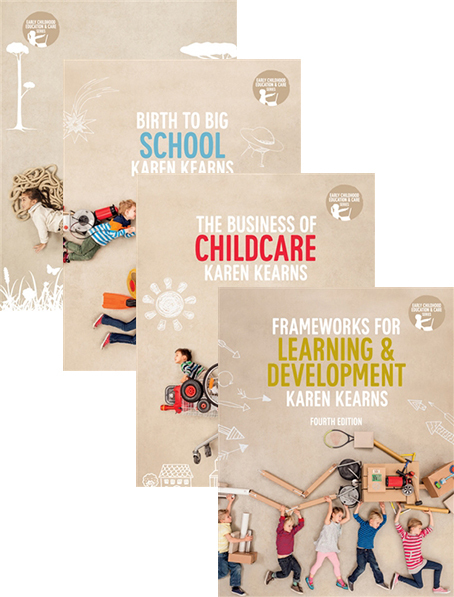 In addition, Kearn's emphasises the importance of knowing the traditional domains of early education and development, and links them to the Early Years Learning Framework (EYLF) and the National Quality Standards (NQS). 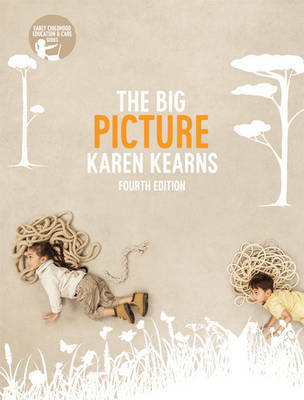 The Big Picture, 4e is a highly visual and engaging text for students, or anyone wanting to undertake study in Early Childhood Education and Care.